Orbs have made their second album Past Life Regression available to stream in full ahead of its official release with TeamRock. 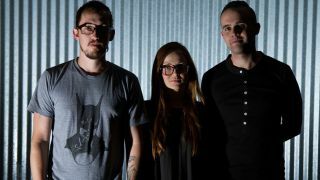 The supergroup – which includes Dan Briggs of Between The Buried And Me, Adam Fisher of Fear Before The March Of Flames, and Ashley Ellyllon, formerly of Abigail Williams and Cradle of Filth, will launch the follow-up to 2010’s Asleep Next To Science on July 15. They’ll then head out on their first tour for six years. Briggs tells TeamRock: “We’ve been waiting now for three years to release this album and it’s a great feeling to finally have it out there for everyone to hear. Past Life Regression can be pre-ordered via MerchNow.